You are right that this time of year seems festive, not only because of the major holidays we normally celebrate in the United States, but also because there are many reasons for celebrating! For a comprehensive list of holidays, one great site is from Earth Calendar. This resource offers ways to look up holidays by date, month, and country of origin. 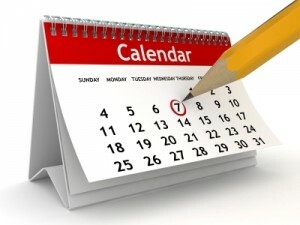 Another list that is commonly used is Time and Date. Here is their list for 2012; scroll down to the bottom of the page for December. Wikipedia, an online encyclopedia, gives a couple of views of holidays: US Public Holidays for 2012, and a broader List of Holidays. Whatever holiday you celebrate, may it be filled with love, laughter, and good will to all! Enjoy! Thank you for asking. If you have any questions, your local Delaware public library is glad to help, in person and online anytime! We appreciate our patrons and students and hope to see you soon! Interestingly enough, the first Thanksgiving was more of a political event than a family-centered one. In fact, according to Robert Krulwich’s article (krulwich wonders: Robert Krulwich on Science on NPR, originally dated 2010, updated 2011), “About fifty Pilgrims came. Plus 90 Wampanoag Indians.” Further, it was likely no women were allowed to participate although they probably did most of the cooking. Krulwich pulls his information from well-known historical writer, Andrew Beahrs, in his book “Twain’s Feast, Searching for America’s Lost Foods in the Footsteps of Samuel Clemens (Penguin Press, 2010). This important meeting was more than a dinner. The feast lasted three days! The Thanksgiving holiday we celebrate has evolved over the years to what it is today. It became a national holiday due to Abraham Lincoln in 1863, largely prompted by the diligence of writer and magazine editor, Sarah Josepha Hale. No matter what you eat, how you celebrate and what form your feasting takes, may it be a time we all give thanks for you, our communities and supporters. 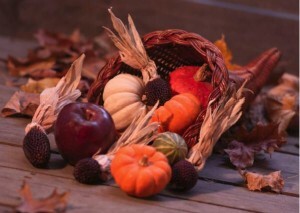 From all of us from your Delaware Libraries, have a wonderful Thanksgiving holiday! if you have other questions, Delaware librarians are very happy to assist you anytime, in person or online through our Ask a Librarian Delaware 247 chat service. 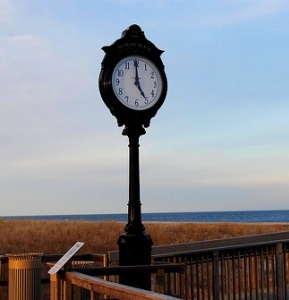 We love helping our Delaware patrons, anytime! 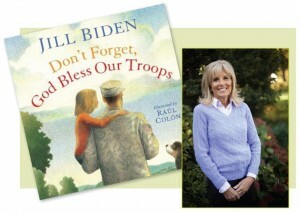 Join us tomorrow when Dr. Jill Biden, the wife of Vice President Joe Biden, will read from her new book, Don’t Forget, God Bless Our Troops, during the story time program at 10:15 a.m. Friday, Nov. 16, at the Dover Public Library. Dr. Biden’s appearance at the Dover Library is part of a series of readings from the book this fall at story hours throughout the state as Delaware Libraries presents programs to recognize the contributions of the men and women in the nation’s military service. Copies of Don’t Forget, God Bless Our Troops will be available for purchase at the Dover Library, and Dr. Biden will autograph copies of books. The book is an account of the real life experiences of Dr. Biden’s granddaughter Natalie’s year while Natalie’s father, Delaware Attorney General Beau Biden, served in Iraq with his Delaware National Guard unit. She wrote the book to help children overcome feelings of loneliness when a parent is absent and to help non-military families better understand the experience of having loved ones serving overseas during wartime. The book includes resources about what readers can do to support military service members and their families. Americans have discovered eBooks in a big way. In 2012, for the first time, publishers have reported that eBook sales have exceeded the sales of hardcover books. Libraries have not ignored these trends, and Delaware libraries loan eBooks to their patrons for no charge. Delaware public library patrons have had access to eBooks and eAudiobooks for less than a year, and they have discovered just how easy it is to borrow titles for their Kindles, Nooks, and iPads, etc. Book lovers have been borrowing over 11,000 titles every month – an average of almost 400 per day! And during the recent storm eBook checkouts increased 42% during the 4-day event. It’s really easy to start using these resources—all you need is a valid library card from any Delaware public library. If you prefer to read your titles on your e-reader or tablet, the Delaware OverDrive collection is the place to go. This collection contains popular fiction and nonfiction titles to choose from. Many current bestsellers are included, as are titles for teenagers and kids. To use this collection, go to www.delawarelibraries.org, click on the eBooks & eAudiobooks tab and navigate to the OverDrive site. 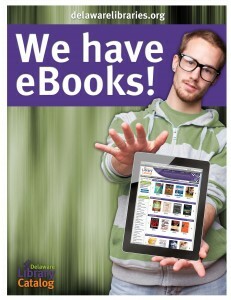 Or, if you have a tablet or smartphone, you can download the free OverDrive app for a truly seamless eBook experience. Whatever e-format you are looking for, and no matter what sort of device you own, you can find a title you want to read or listen to from a Delaware library. Try it today! This question is a popular one! To determine the truth behind this myth, we need to consider some factors, but science sources agree that the reason for the swirling of a large body of water or even how a hurricane moves is due to something called the Coreolis Effect. 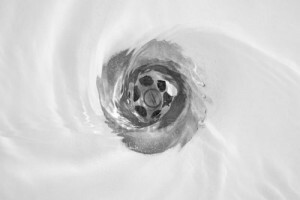 The complication is that water pouring down a drain or toilet is too small of an amount to demonstrate the true Coreolis Effect as Matthew Feinstein states on the 1996 online document “Which way will my bathtub drain? : “There is a real effect, but it is far too small to be relevant when you pull the plug in your bathtub.” It’s easy to influence the way the water drains simply by adding a little momentum, even if the angle of water coming into the basin or tub is slight. The movement of air also shows the Coreolis Effect; we have seen the huge spiral counterclockwise rotation of hurricanes. The Little Shop of Physics from the Colorado State University’s site offers a good explanation and even an experiment you can replicate at the end of their article. To see the Coreolis Effect in action (as an experiment) watch the brief movie of kids with a ball on a simple merry-go-round at the end of the ‘Real Life Example’ in the article called “The Coreolis Force” from the University of Illinois. It is amazing to think that we see the ball moving in a straight line from above, but its path is actually curved! Thank you for this great question! Librarians often learn something new while helping our patrons and students find information, and this is no exception. Please feel free to ask questions of your Delaware Libraries anytime, in person or online using our live, chat library service called Ask a Librarian Delaware. We appreciate your service very much! We hope to see you in our libraries and online using our resources soon! If you or someone in your family is a caregiver to an aging parent, a parent to a child needing extra care, or a family member caring for someone suffering from a chronic illness or disease, the caregiving LibGuide has resources to assist you.